A man killed four people, including an infant, inside a S. Barlow Road home before being shot to death by Clackamas County deputies late Saturday night. The sounds from a 911 call around 10:15 p.m. "were dramatic, very intense," Clackamas County Sheriff's Sgt. Brian Jensen said the morning of Sunday, Jan. 20. "Deputies knew it was going to be a bad scene." The suspect is identified as Mark Leo Gregory Gago, 42. The victims are identified as Olivia Lynn Rose Gago, 9 months; Shaina E. Sweitzer, 31; Jerry William Bremer, 66; and Pamela Denise Bremer,64. The CCSO says all of those who died are related. A woman and child were also hospitalized. Their names were not immediately released. 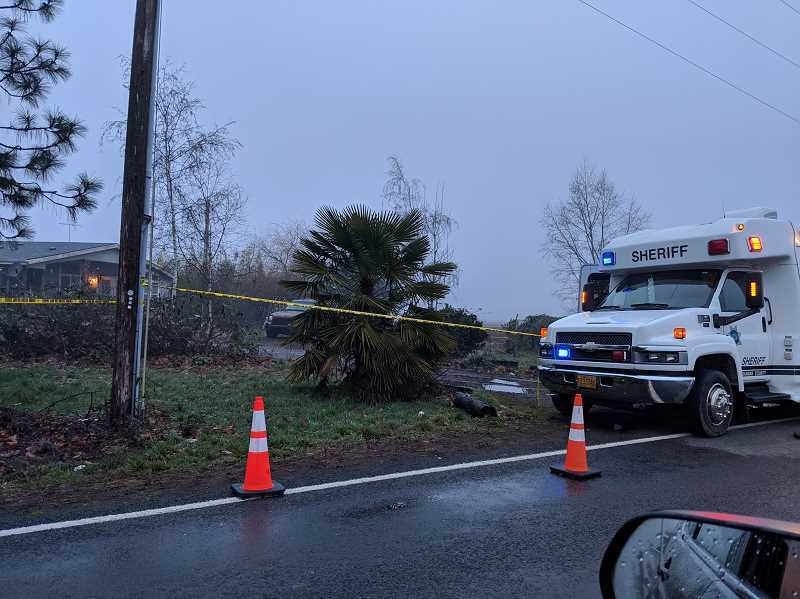 Neighbors told KOIN 6 News the surviving adult woman said those who died are Gago's daughter, mother, stepfather and girlfriend. According to Jensen, when deputies arrived on the scene, one victim was found dead outside the home in the 32000 block of S. Barlow Road. Screams were coming from inside the house. At that time, "the suspect was in the process of killing a child," Jensen said. Deputies then shot the suspect to death "and saved the child." Jensen said the killer did not use a gun, but deputies found numerous weapons, including swords, around the house. Investigators "are trying to determine what he used to kill the four people." Officers and deputies often see brutal scenes, but Jensen said he "cannot explain just how horrific it is inside" the house. Five deputies and a sergeant are on paid administrative leave following the shooting, which is standard protocol during the ensuing investigation. Jensen said he was not sure which or how many deputies fired their weapons. The Clackamas County Major Crime Scene unit is at the scene along with the Oregon State Police, Canby Police Department, the Oregon City Police Department and the Clackamas County District Attorney's Office. Barlow Road between Hwy. 211 and South Schneider Road was closed for the investigation but reopened around 11 a.m. Sunday. KOIN 6 News is a news partner of the Pamplin Media group. This story will be updated when more information is available.